Yesterday evening(October 10th) Katie Holmes made an appearance at the Blue Diamond Almonds Holiday House in New York. 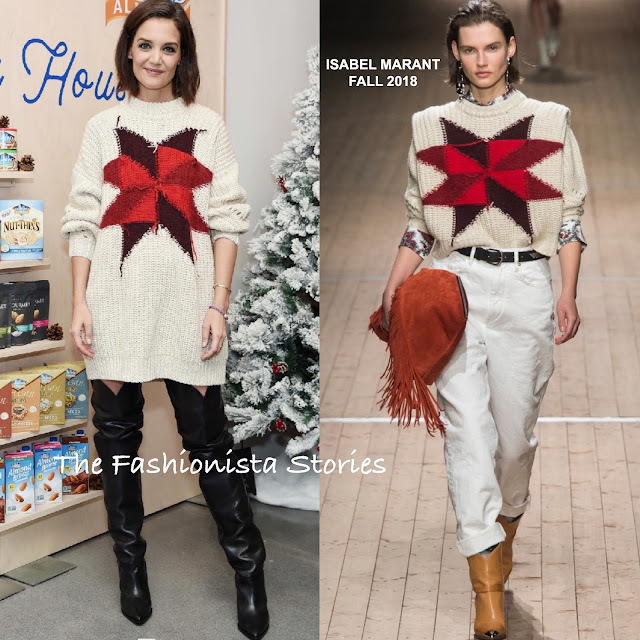 The actress is ready for fall wearing one of her favorite designer brands, ISABEL MARANT. She wore the designer's FALL 2018 'Hadyn' graphic wool blend sweater dress which she paired with black thigh-high boots. The sweater was shown on the runway in a crop version which I like but I do like Katie's dress version as well.